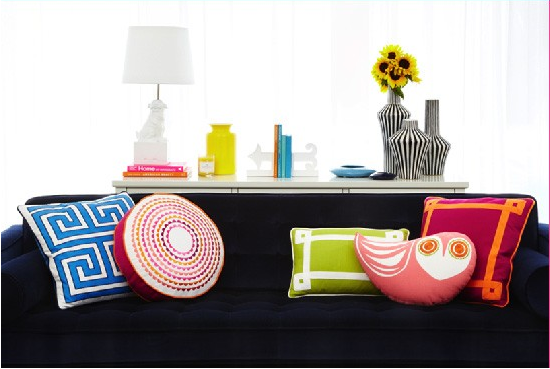 Some monday morning inspiration from Jonathan Adler! How beautiful is that vigenette!! I am drooling over the foo dog lamp and the black and a white striped vases! The pops of yellow just take it to a whole new level!